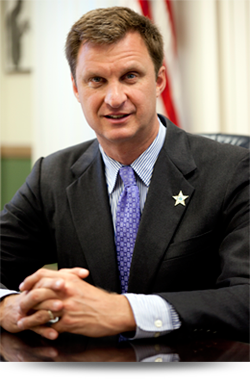 Lew Evangelidis was elected Worcester County Sheriff on November 2, 2010. Since taking the oath of office in January 2011, Sheriff Evangelidis has been committed to running the Sheriff’s Department based on the mission of professionalism and public safety. 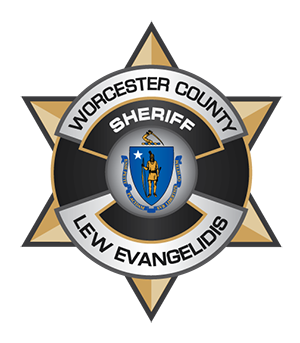 As Worcester County Sheriff, Evangelidis has significantly increased the hiring standards to the highest in the field of corrections in the Commonwealth today and currently is the only Sheriff in Massachusetts that does not accept political contributions from employees or their spouses. A policy that has promoted a more professional department and better working environment for all Worcester County Sheriff’s Office employees. With almost 90% of today’s inmates incarcerated due to addiction issues, Sheriff Evangelidis has given extraordinary focus to the current opioid epidemic facing the Commonwealth by implementing innovative re-entry and substance abuse programming with inmates as well as personally presenting his unique Face2Face Drug & Alcohol Prevention Program to over 300,000 middle and high school students from across the region. The Face2Face Program created by Sheriff Evangelidis is the only one of its kind in the entire country. In addition, Sheriff Evangelidis has implemented numerous Public Safety Initiatives as well as Community Outreach Programs to further protect and serve the citizens of Worcester County. Evangelidis’ previous public service includes serving as an Assistant State Attorney in Miami-Dade County, Florida and an Assistant District Attorney in Suffolk County, MA. Lew Evangelidis also served in the Massachusetts Legislature from 2002 – 2010, serving on the Joint Committee on the Judiciary and the Committee on Public Safety. Additionally, Evangelidis practiced law for over 20 years as an Associate at Wausau Insurance Company and at the law firm of Pellegrini and Seeley. Sheriff Evangelidis attended the University of Massachusetts at Amherst graduating with a Bachelor of Science Degree in Economics in 1983 and received his Juris Doctorate from Temple University School of Law in Philadelphia in 1987. Evangelidis currently serves as Chairman of the Massachusetts Port Authority Board of Directors as well as on the Worcester County Opioid Task Force and as a Corporator for the American Red Cross. Lew Evangelidis is honored to serve as Sheriff in the largest county in Massachusetts with 60 towns and over 800,000 residents. I am grateful to have been given this tremendous opportunity. I look forward to getting up and going to work every day to do what I can to make our community safer. We are not only responsible for the care, custody, and control of over one thousand inmates, but we also have a responsibility to do what we can to release more productive for citizens who are less likely to repeat offend.